I’ll admit it. I’ve had a fear of cooking fish. I know it’s good for me, that I should feed it to my family at least once a week, but I’ve been scared. I don’t hate fish, but I don’t love it either. I’m kind of indifferent. I’ll get salmon sometimes at restaurants, and even shared this Grilled Salmon, but I don’t even make that as often as I should. I’ve been worried that my kids wouldn’t like it, or that I’d mess it up. 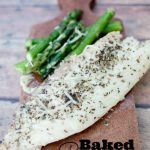 But this Baked Parmesan Tilapia is practically fail-proof. 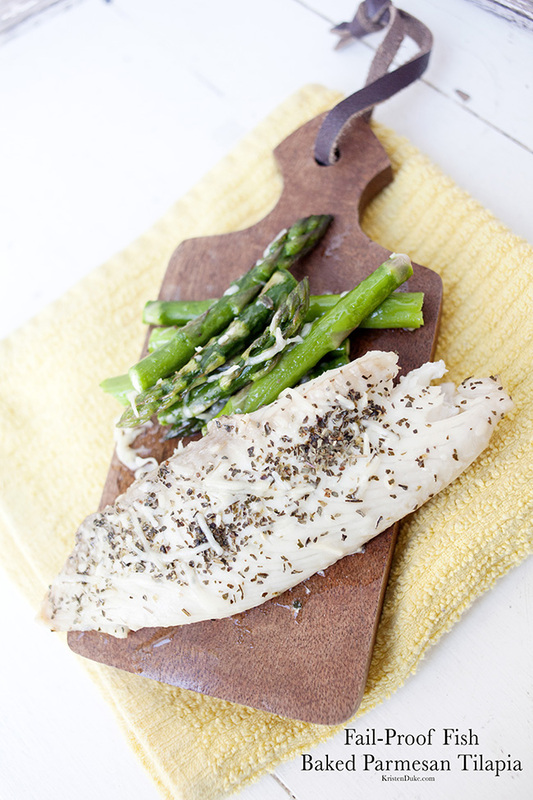 I’ve definitely overcome my fear of cooking fish with this easy recipe. We’ve been trying to eat more meat and veggies and less grains lately, just an experiment we are doing from a book my husband is reading that talks about grains (wheat, pasta, bread) cause inflammation in varying places throughout the body. I wish there was someone out there that had the absolute truth when it comes to how we should eat. What I do know is that fish is really good for us, so I need to make it more! 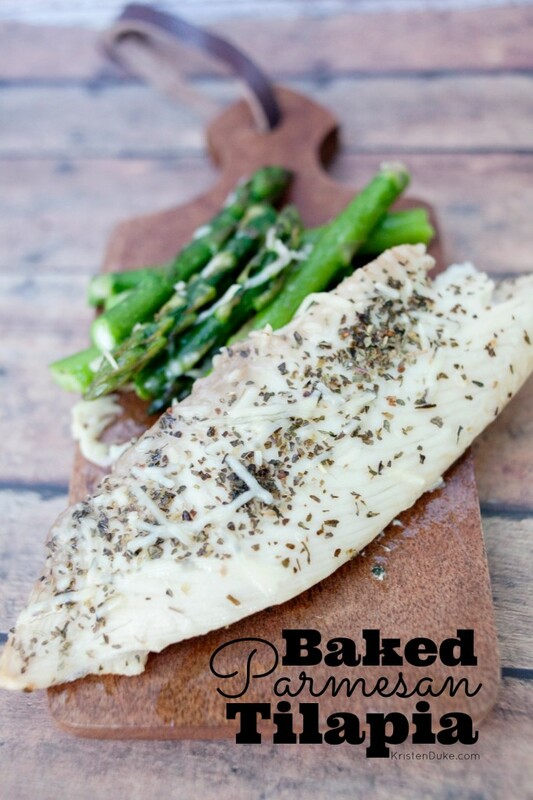 With my fresh Tilapia, I drizzled some olive oil on top, shook on some Parmesan and seasonings, and placed them on a foiled lined baking sheet. SO QUICK, SO EASY! Guess what??? My kids even liked it!!! Hooray! We will definitely have it again. Do you love fish? Eat it at your home? What about the kids?